Champagne Taittinger has announced the launch of Domaine Evremond. 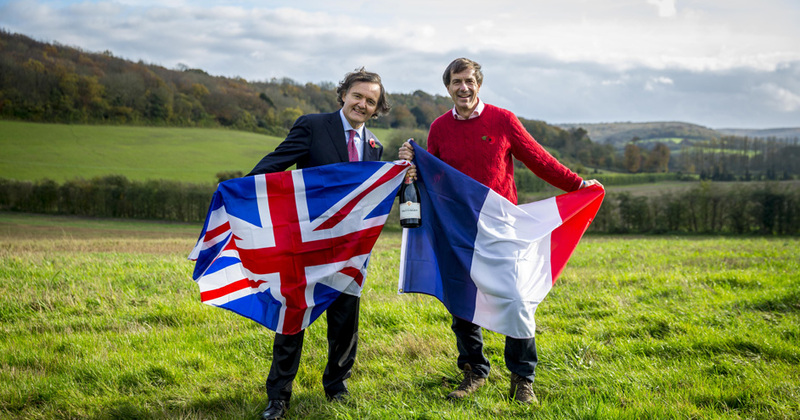 Working with Hatch Mansfield and private investors, this unique collaboration marks the first time that a Champagne house has invested in the UK with the intention of producing premium English Sparkling Wines. The team has purchased 69 hectares of farmland at Stone Stile Farm in Kent. Forty hectares of this will be planted with Chardonnay, Pinot Noir and Pinot Meunier vines to produce English Sparkling Wine. The land, a former apple farm, is near Chilham in Kent, close to Canterbury and Faversham. The plots to be planted are a maximum of 80 metres above sea level, with chalk soil and south-facing slopes, creating an ideal terroir (soil, microclimate and topography) to plant and grow high quality Chardonnay, Pinot Noir and Pinot Meunier vines. Stephen Skelton MW (Master of Wine), one of the UK’s leading viticulture consultants, has worked closely with the Domaine Evremond team in the capacity of viticultural advisor in securing this ideal plot for vineyard development.